The latest party Anthem ‘This Party is Over Now’ is one song that is taking the nation by the storm. Ever since the releases the song has clocked maximum views in India in the last 24 hours and has It made its debut on No 4 in global rankings and is trending at No. 1 on YouTube India. 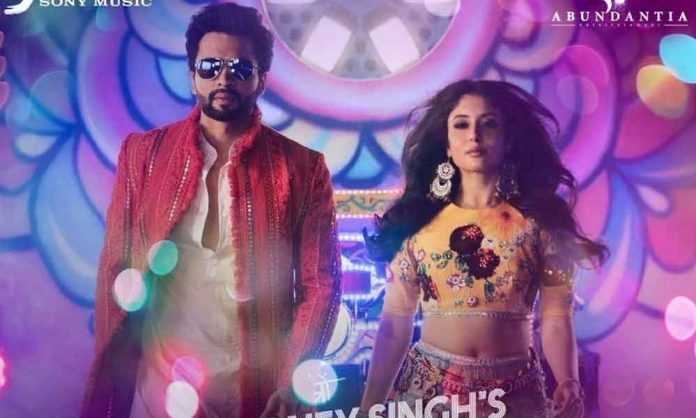 The seemingly No-Alcohol Party anthem is becoming a global phenomenon with its unconventional hip-hop by Yo Yo and catchy dance steps performed by Jackky and debutant Kritika Kamra. ‘This Party Is Over Now’ is all set to become a rage and is definitely going to the party anthem of the year despite its ‘anti-party’ lyrics. After Dilbar it is only song from India to make it to worldwide charts. Watching the song is also exciting as it incorporates traditional Gujarati costumes and adds the flavour of the culture while rendering it with the modern electronic beat inspired by Hip Hop Legend Timbaland. The film is directed by the ‘Filmistan’ director Nitin Kakkar and is all set to release on September 14th 2018.